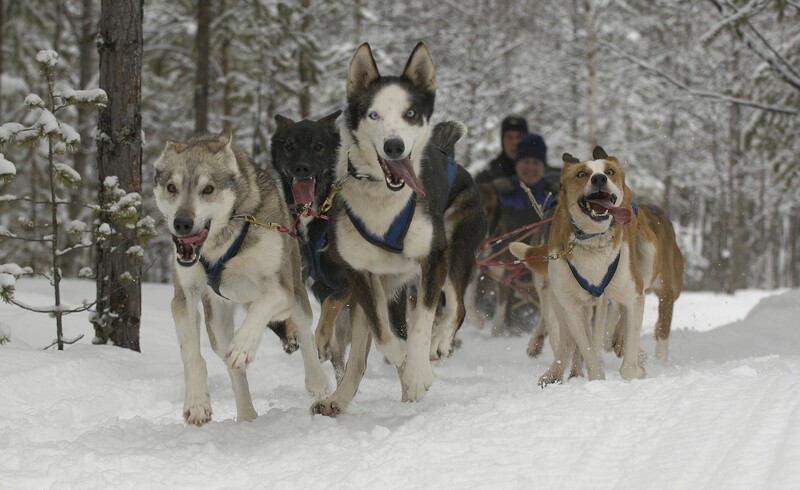 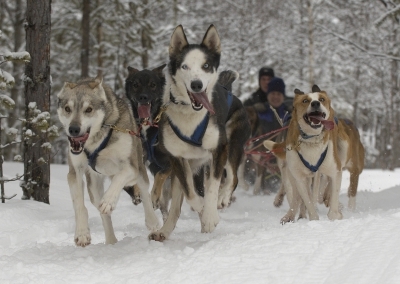 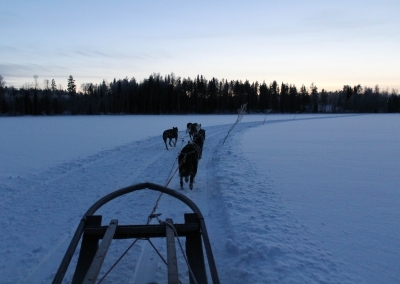 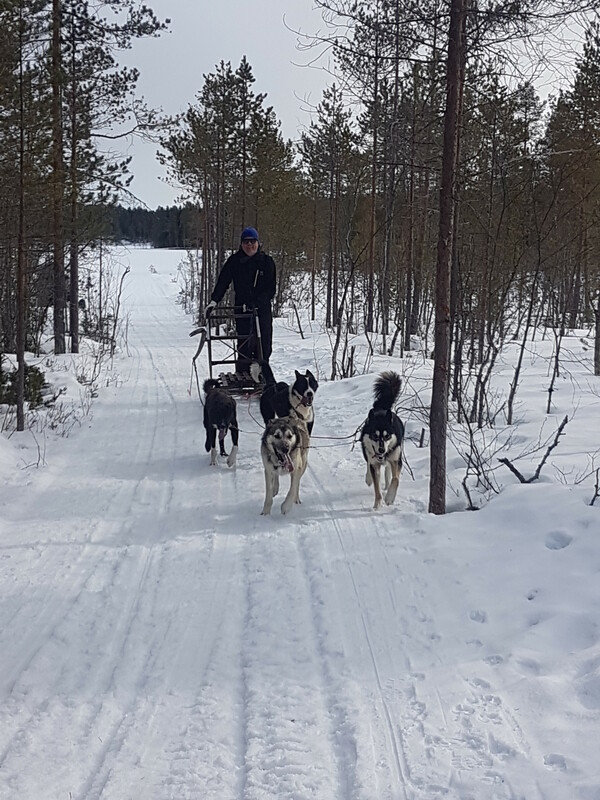 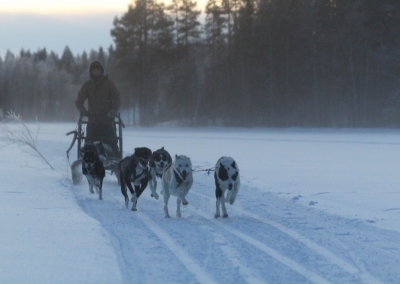 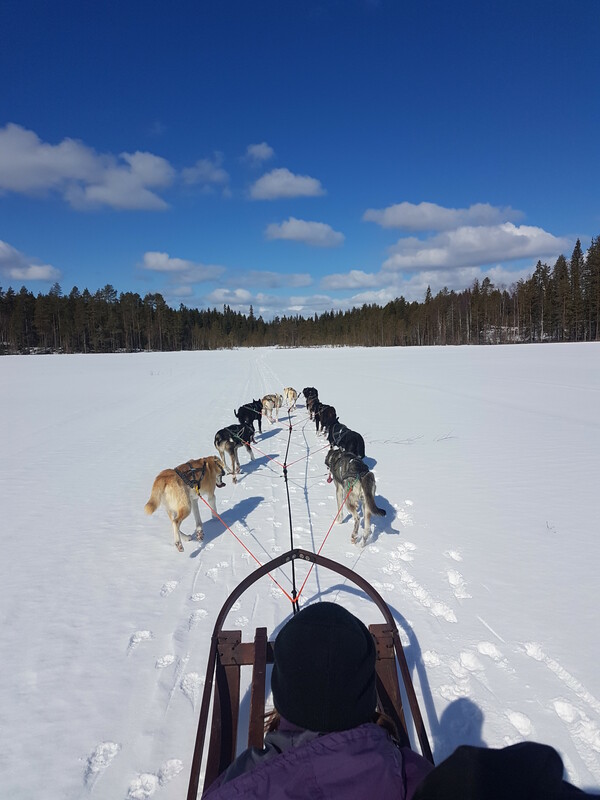 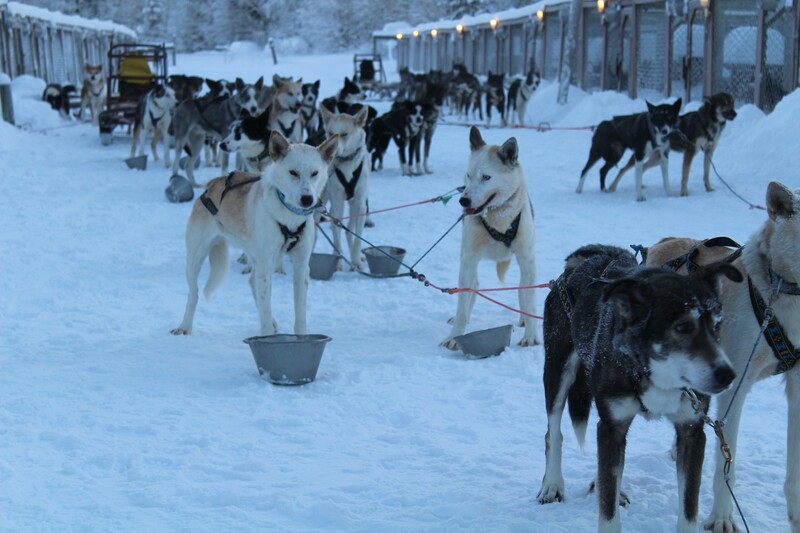 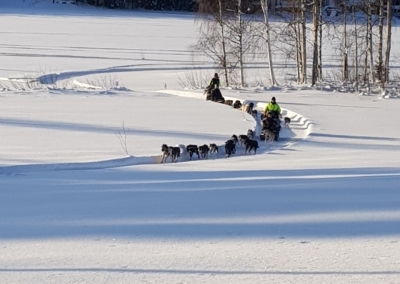 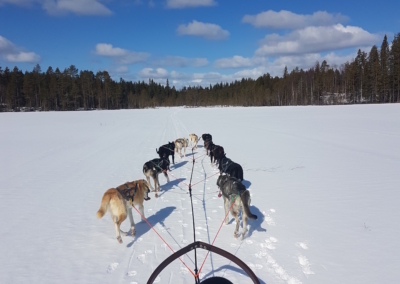 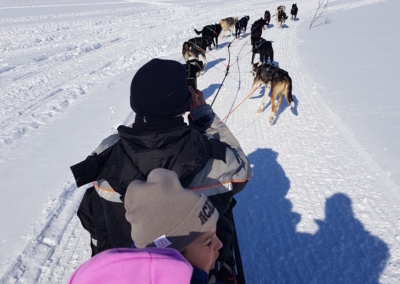 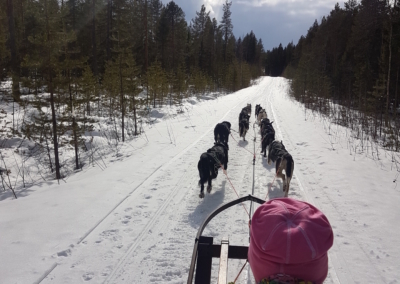 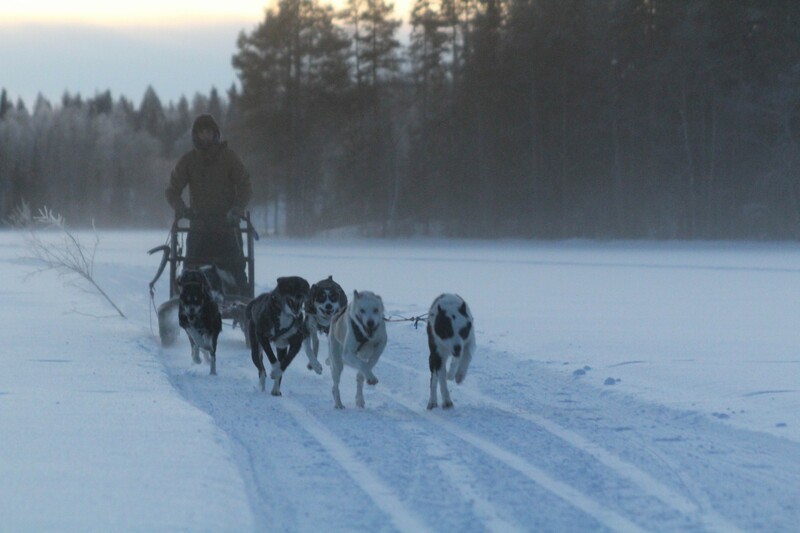 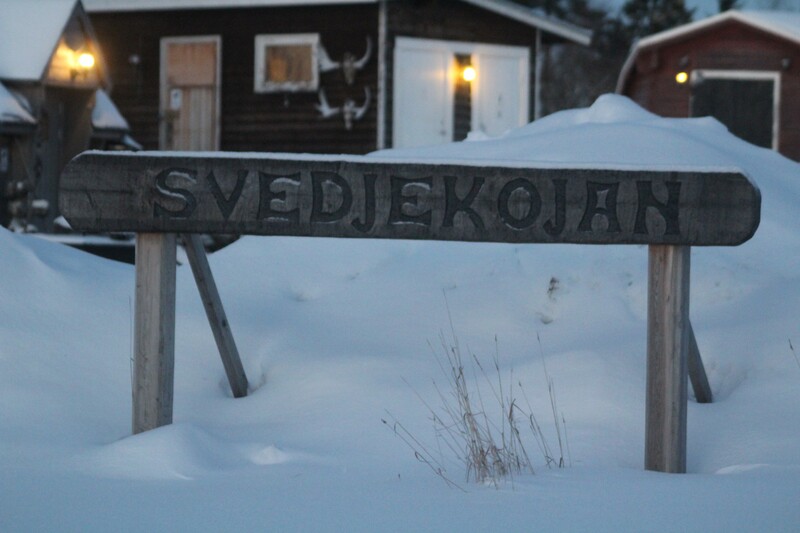 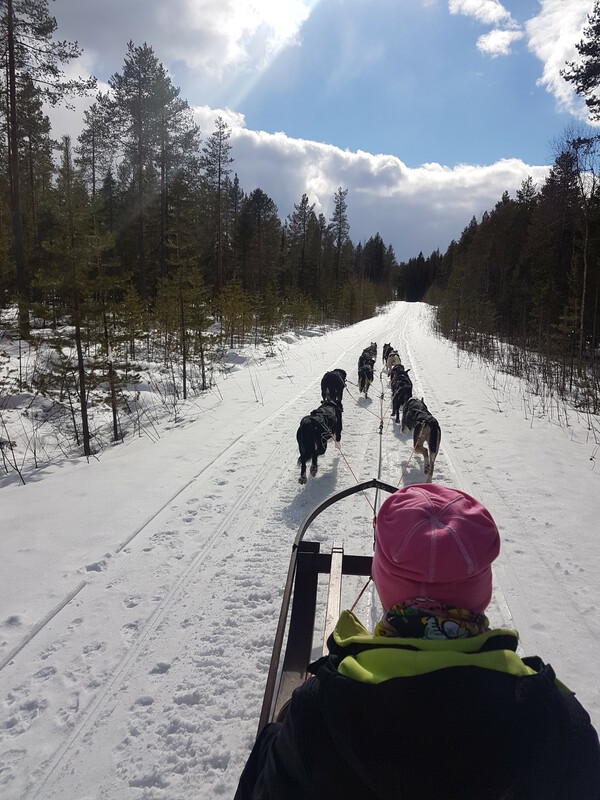 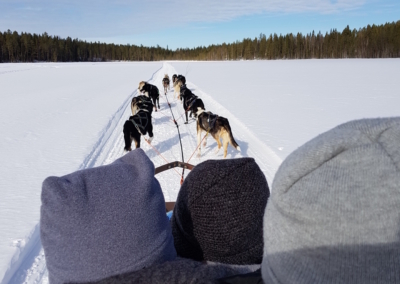 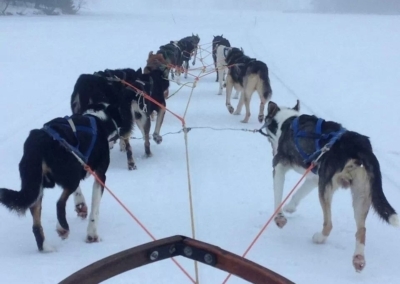 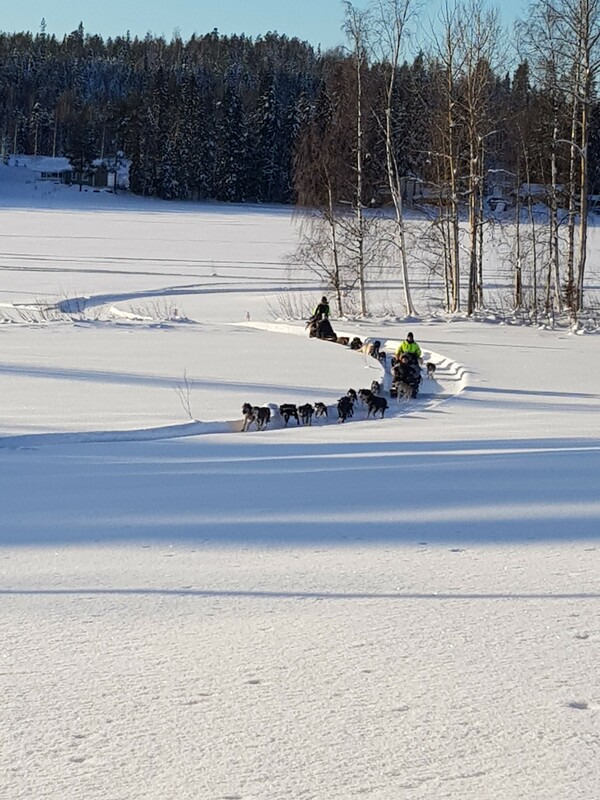 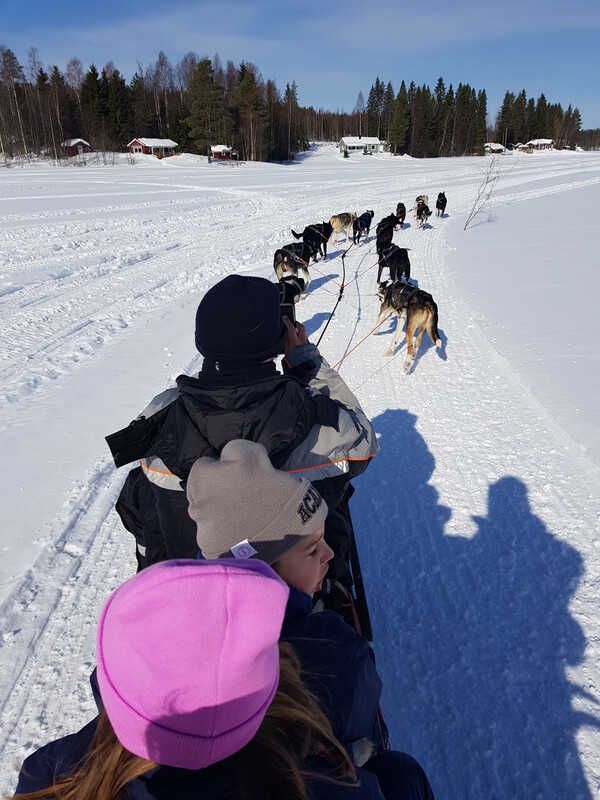 Svedjekojan offers special designed Dogsled Tours, where you either can ride in a sled or run your own team of dogs. 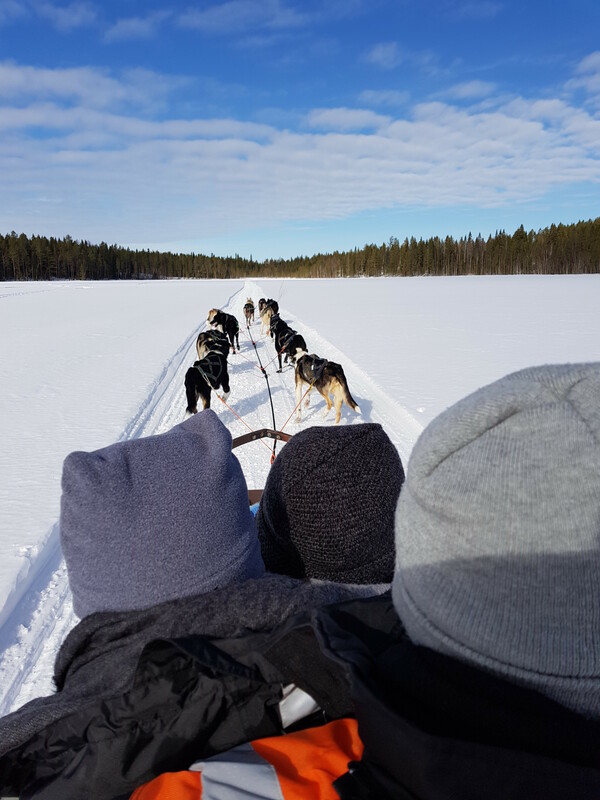 This gives you a unique chance to experience in close encounter with this very special and magic nature. 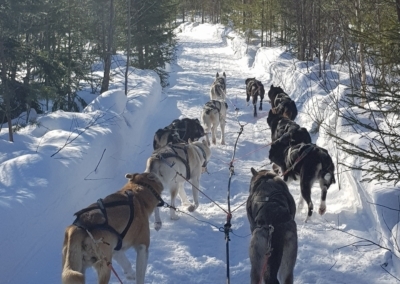 If you want to book to drive your own dog team together, you must sign an agreement that certifies that you understand the instructions and follow them. 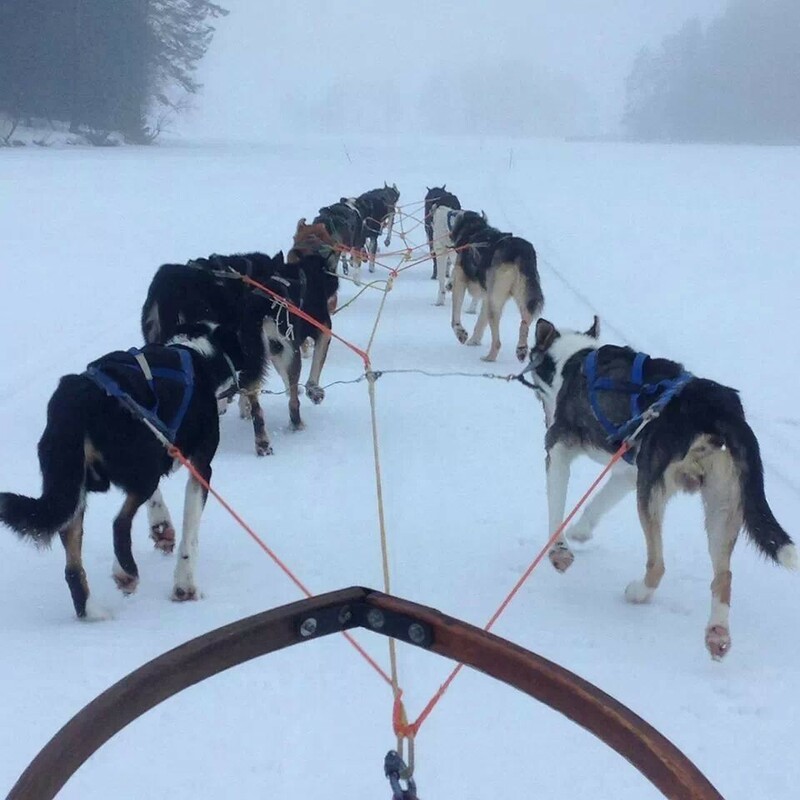 And that you will be responsible if you drive so carelessly that a dog/dogs get a injury because of that and has to be put to death. 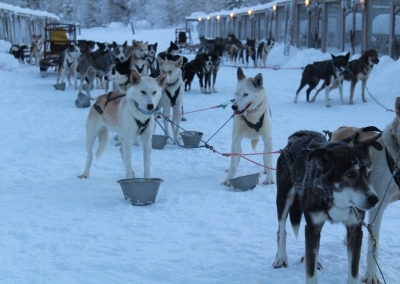 The costs is then 5000SEK per dog. 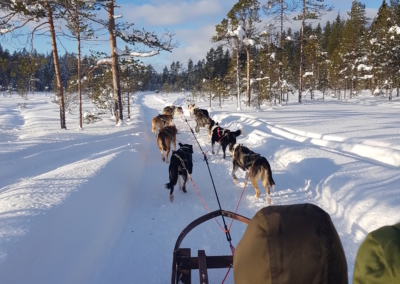 Minimum age from 18 years for both the one who drive and the one sitting on the sledge on these tours. 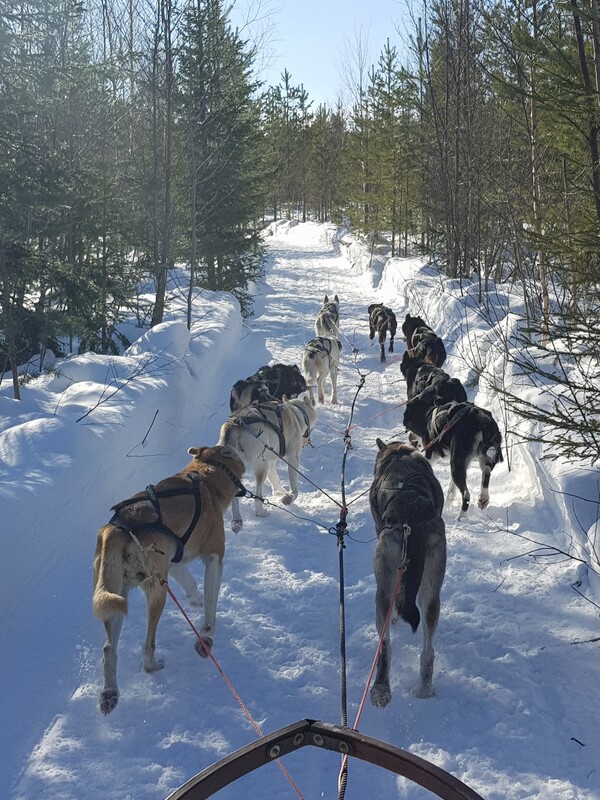 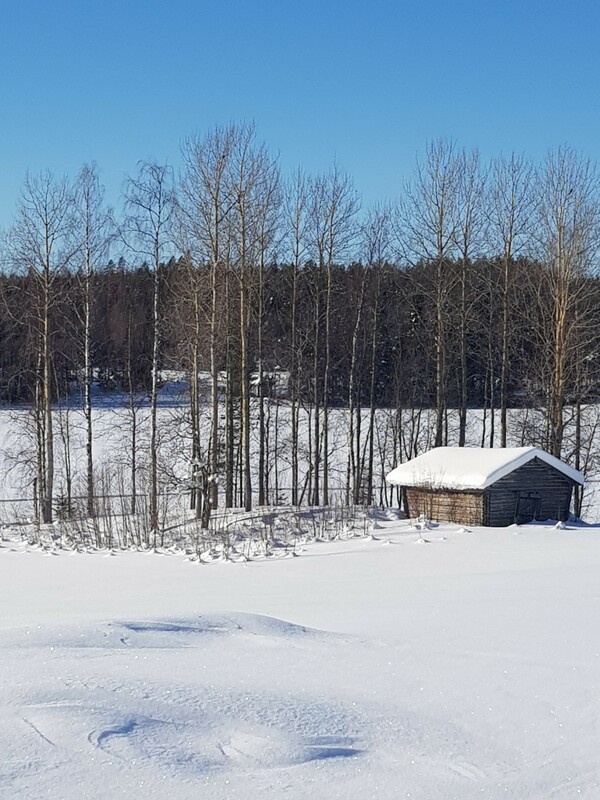 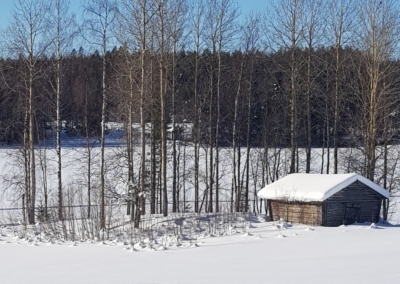 We work together with a number of corporations in the region where we make nature winter experience for all kind of groups, small or large. 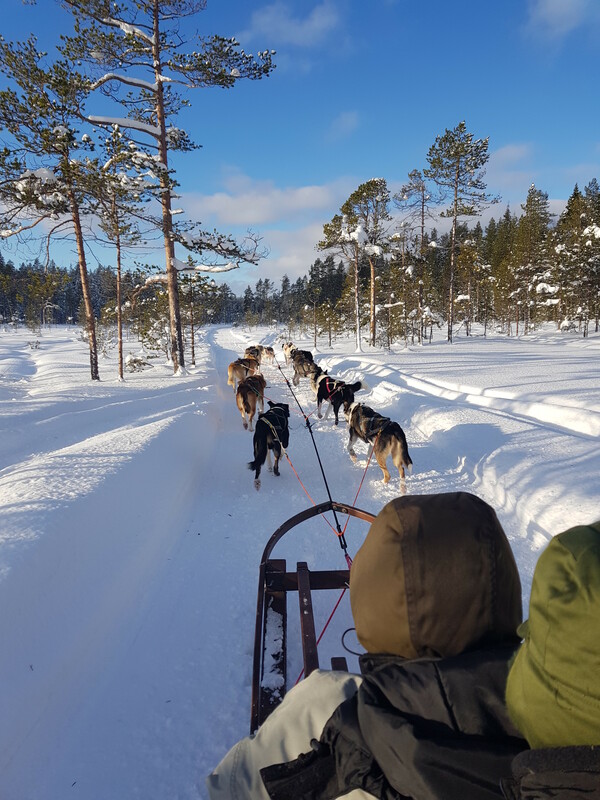 Our philosophy is based on offering safe and secure outdoor adventures for our guests. Therefore we make a great efford in having the best sled dog-equipment, wich we check on a regular basis. 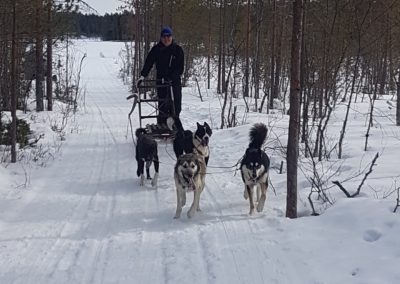 Ulf takes care of all our tracks and equipment so that the experience is going to be the best.